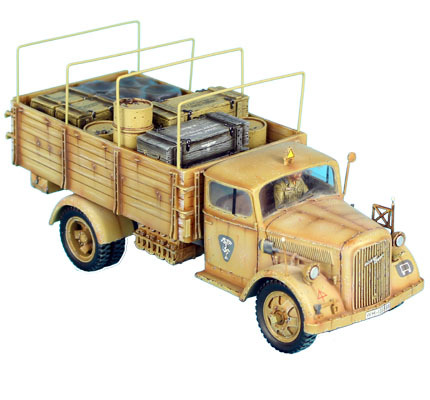 This supply set is perfect for us in conjunction with DAK011 DAK Opel Blitz Truck or can be used perfectly well on its own to provide additional detail to a base type scene. 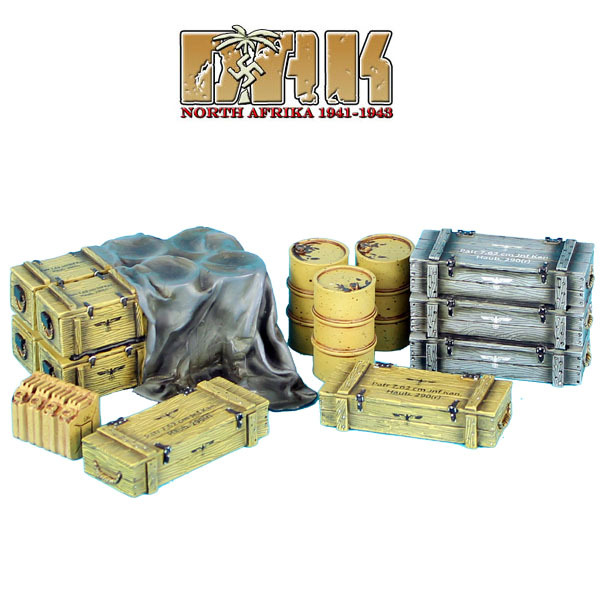 The set comes with canvas tarp covered oil drums and boxes, 3 individual oil drums, stack of 3 boxes, 2 individual boxes, and a row of 4 gas cans. 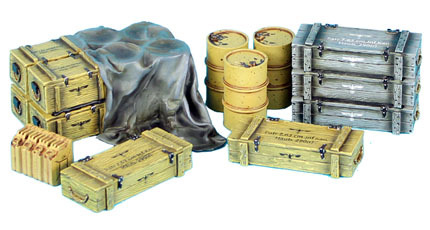 Adds excellent detail to any DAK WWII diorama!